A striking use of the teak tree, with its majestic root system and the characteristics of teak on full display in the most natural way possible. This large console piece utilizes the trunk of the tectonis grandis tree to show off the intricacies of the root system and to position this console as a true work of art inspired, and constructed by nature. Gommaire minimally processes the piece to give it a certain refinement on the edges, but otherwise this piece of furniture is displayed as nature created it in all its monolithic glory. 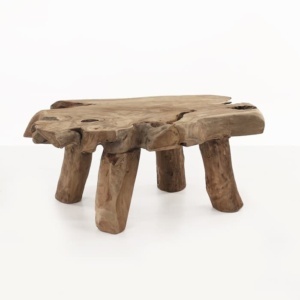 Made from pure, natural teak wood. 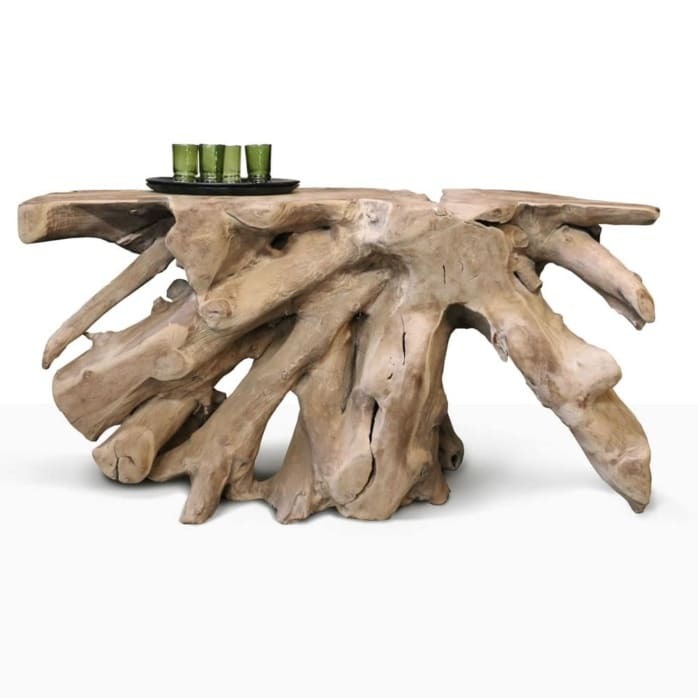 Please call us today to select your unique root console table.